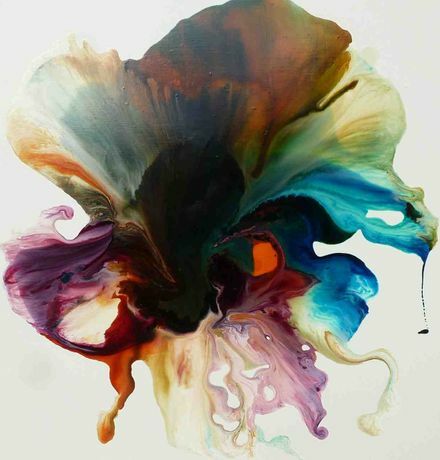 Coastal Gallery in Lymington has announced its 2013 exhibition programme, beginning the year with a major presentation of contemporary abstract art called Colour and Light. The exhibition explores the relationship between colour and light through a new series of contemporary abstract paintings by local artists including Jane Emberson, Claire Wiltshire, Chris Whittaker, Stewart Mechem and Bev Saunders. "The vibrant colour used in her paintings have the appearance of living organic matter alive with constant activity ." 2012 has seen Emberson exhibit her work at the Affordable Art Fairs in both London and New York, as well as showing at numerous United Kingdom venues. Jane has been a Coastal Gallery artist since 2010, while Claire Wiltsher, Stewart Mechem and Bev Saunders are also Coastal Gallery artists whose work is permanently available in the Lymington gallery. On 1st February Coastal Gallery is hosting a Private View Brunch at 11am, followed by an open day until 7.30pm where artists will be present with the gallery owners to discuss their latest works.